I loathe that word lately. Sounds strong, but I mean it. 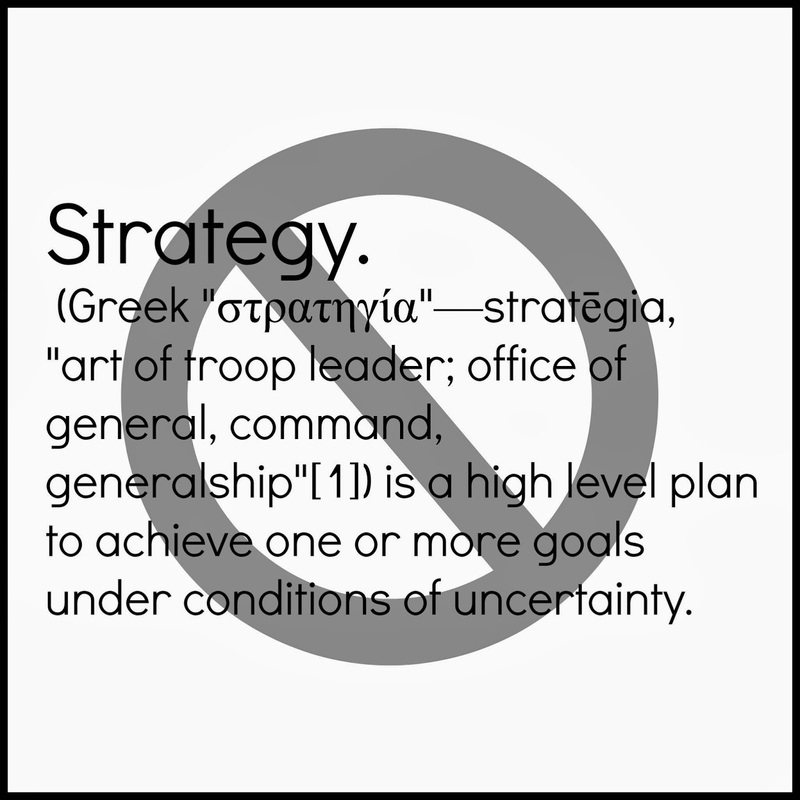 I see it everywhere…the perfect strategy for homemaking, blogging, homeschooling…you name it, someone is strategizing it. Have we lost our faith? Have we lost the strategy that Jesus supplies us with in Matthew 6:33? Wake up! We do not need to invest in one more person’s ideal strategy. There is no strategy apart from seeking Him first, because in the end when we do that…He paves the way for His plan to unfold. I am not saying don’t make reasonable plans. Don’t be responsible and a good steward. There is a difference though. Even reasonable plans, without first seeking God, will fail. So will any strategy out there that doesn’t include Him. We can strategize all we want out of this life. The Truth is, God is sovereign. His plan will always prevail. I never intended to homeschool- and here I am. I didn’t even know what a blog was, and here I am, with two of them. 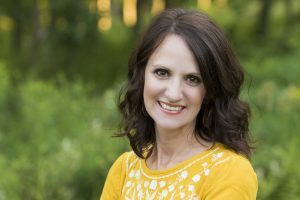 I physically shook one time speaking in front of my church family at a meeting, and here I am speaking at homeschool conventions- and not trembling. It was all part of His strategy. Not mine. I surrendered it all to Him…and He provided. I can get caught up in what is the best strategy for my home organization, or for my homeschool work, or even for my blog. I declare no more. I will only seek Him first and follow his lead. I just write here for His glory. I trust my readers come here to be encouraged and I don’t want to be anything but real- there is no strategy in being real. You just are. 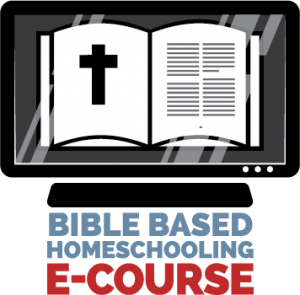 This site has been and will always be my thoughts about God, homeschooling, and the simple life- It is just me. I will let it go where God takes it. 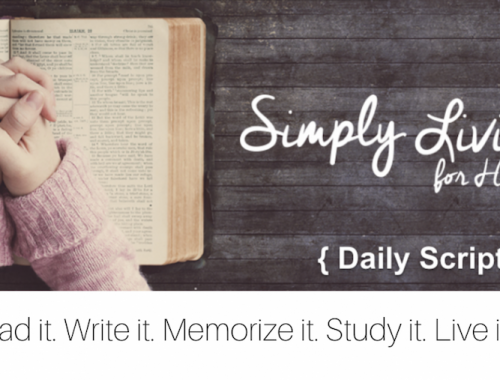 I have another blog that I use for advertising purposes, but to be honest, I have given control of where it goes to God as well. Sure I make business decisions, and I trust that God has blessed me over there to help supplement our income, but none of it comes without consulting Him first. It’s about knowing Who is ultimately in control of our business, our homes, and our lives. I am first and foremost a daughter of a King, and I will live like one. Next I am a wife and mother. I need to seek Him in all of those areas first. Then if He calls me to other things outside of that, I will follow. I believe He called me to write, but if it is for one person to read, or several, that is up to Him. My job is to surrender the outcome and accept to His plan. The truth is how much time is wasted reading about the prefect strategy, or trying to figure it out? How much is that a distraction from Him? The devil loves to distract us and to deceive us into thinking we are in control, when in actuality we are not. He loves us to feel out of control so that we search for control in this world- by strategizing our next plan, or situation. Go- love on your kids. Enjoy your home. Love your husband. Serve. Follow God. Let that be your strategy. It doesn’t have to be so complicated! So what, if you don’t have the perfect organization system, or a Pinterest perfect pie. The ladies of long ago- they didn’t have all of this information. Read the Bible. Listen to what He says. It’s simple. Stop. Quit trying to make a strategic plan, and give it all to Him. 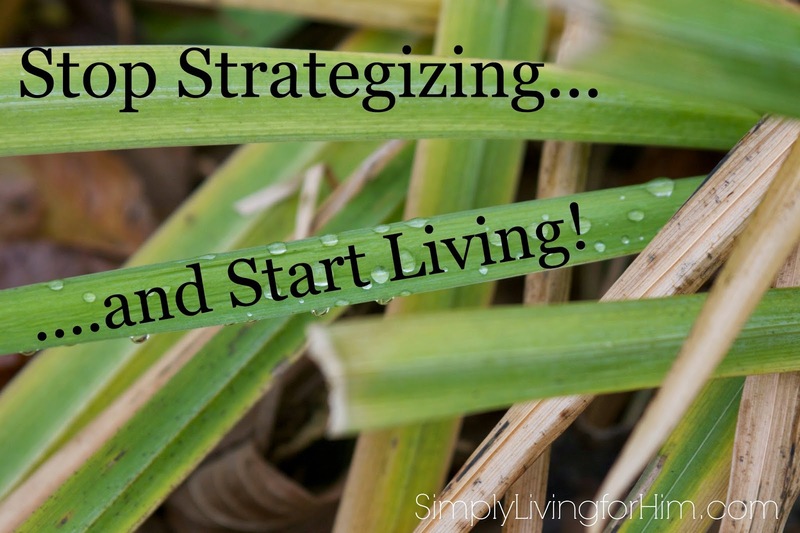 Live life instead of strategizing about it. He is right there waiting for you to relinquish control. Remember to keep it simple. Eyes on Him.